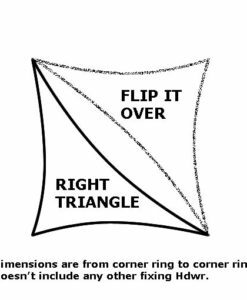 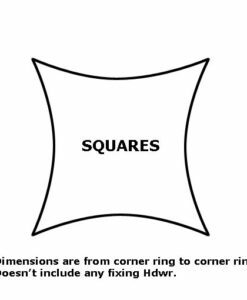 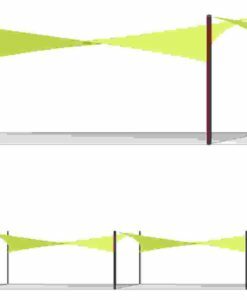 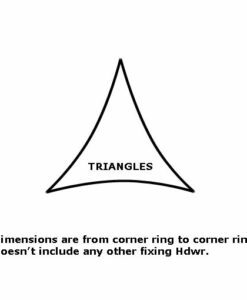 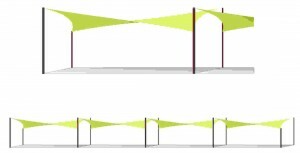 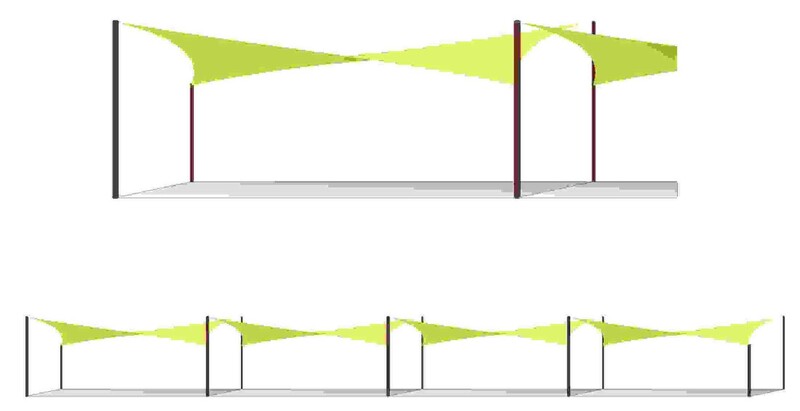 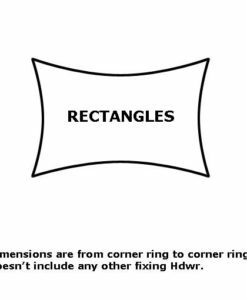 The 20' Square and 18' Triangle are larger than most ready made sails on the market and require larger fixing hardware than shown on the Hardware Page. We recommend at least a 1/2″ eye, 5/16″ Turnbuckle and Shackle when installing these sizes. 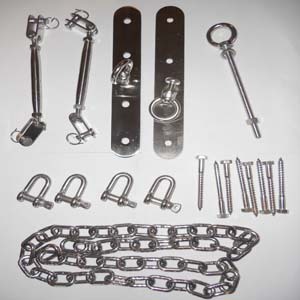 For fixing hardware options visit our Hardware Page for our high quality stainless steel Attaching/Tensioning Hardware. 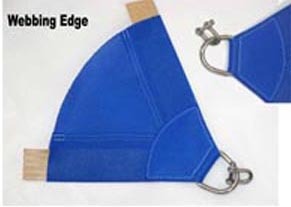 (most common choice of hardware for three Sided Skyclipse 370 Shade Sails where two fixings are on the house and one is on a post) This is heavier hardware for the larger stronger Skyclipse 370 sails. 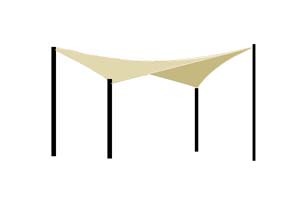 (most common choice of hardware for four Sided Sided Skyclipse 370 Shade Sails where two fixings are on the house and one is on a post) This is heavier hardware for the larger stronger Skyclipse 370 sails. 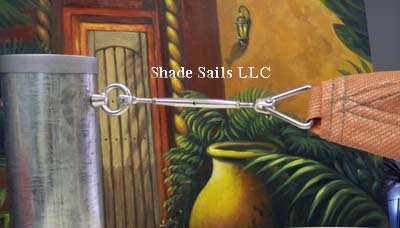 The 20’ Square is larger than most ready made sails on the market and require larger fixing hardware than smaller sails. 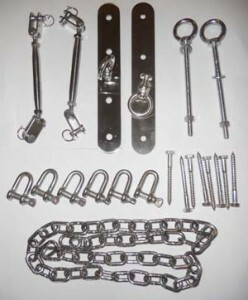 We recommend at least a 1/2″ eyes, 5/16″ Turnbuckle and Shackle when installing these sizes. 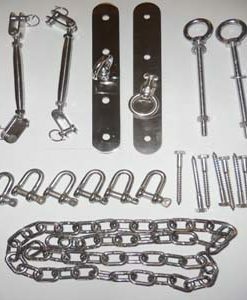 For fixing hardware options visit our Hardware Page for our high quality stainless steel Attaching/Tensioning Hardware. A set of sealed engineering plans suitable for getting a permit. 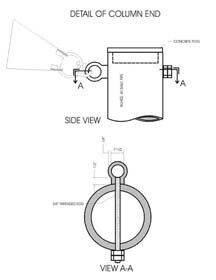 Fixing tensioning hardware.. all you need to fix the sail to the posts as called out in the engineering. 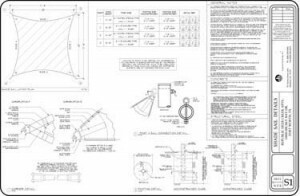 Not included… Steel pipe columns, and footings.